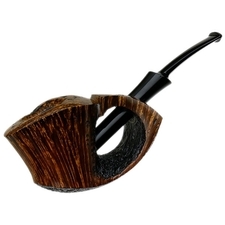 A unique piece from Tom Eltang, this freehand "Oliphant" is one with a unique profile, distinctly elephant-like when turned so that the bowl is aloft. 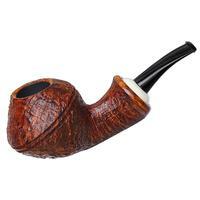 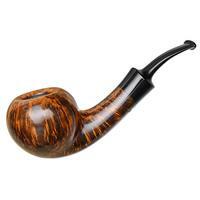 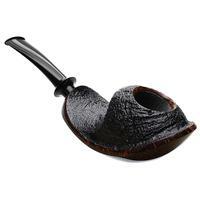 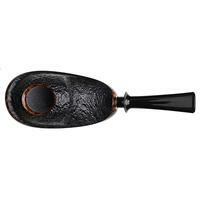 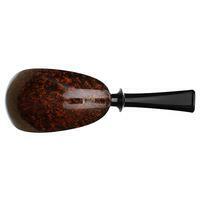 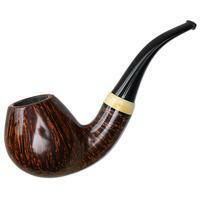 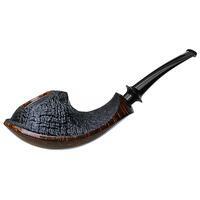 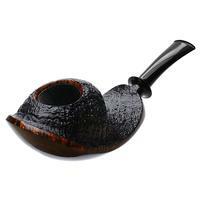 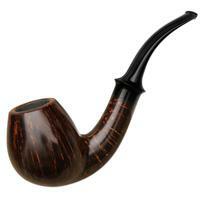 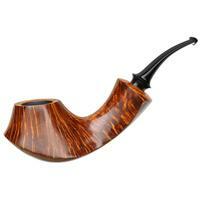 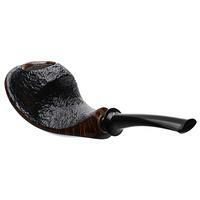 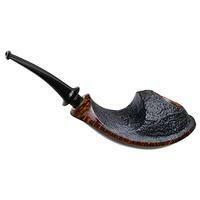 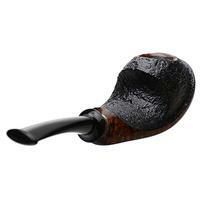 It's one that brings to mind a hybrid of a number of classic Danish shapes, its broad, flanking underside showing hints at the Eskimo, though flowing more fully through the fore, while the upward-turning bowl speaks to a Horn-like Rhodesian. 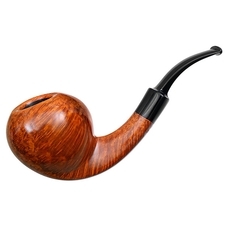 However you might classify it, it's been executed with precision, not a single line feeling out of place, and its unique shaping making it suitable for palming, or for holding with one finger draped near the transition. 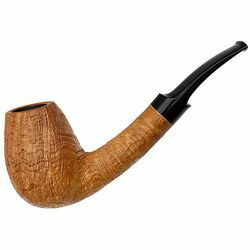 One of Tom's excellent finishes is at work, as well, the upper stummel wearing a crisp sandblast that has brought out hints of stacked growth rings, while the lower panel has been polished smooth and contrast stained to display an immense amount of tight birdseye. 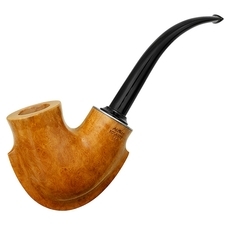 Excellent piece.